19. 08. 2018 13:06 18 (3 - Suninen Teemu / Markkula Mikko): That was more than I expected. Really happy for the time and for the improvement that I did on this rally. On the event I was able to be really close to Seb on some stages. 19. 08. 2018 11:44 17 (3 - Suninen Teemu / Markkula Mikko): I tried to save the tyres and I wasn't too smooth with the handbrake at the hairpins so I stalled twice. 19. 08. 2018 11:31 16 (3 - Suninen Teemu / Markkula Mikko): Ok, the car is really nice to drive. 18. 08. 2018 18:49 15 (3 - Suninen Teemu / Markkula Mikko): It has been a good day from that side so I can be quite happy for this day that I have been improving and making some good times. But there are some things I would like to improve - driving fast in the corners. 18. 08. 2018 18:10 14 (3 - Suninen Teemu / Markkula Mikko): I will drive for the time if needed, but I'm really sure Seb has good pace so I can go full throttle and he will pass me. 18. 08. 2018 16:47 13 (3 - Suninen Teemu / Markkula Mikko): I was struggling with the tyres, it was difficult to manage them but it was only my second time ever with the WRC car here and maybe that is part of the learning. 18. 08. 2018 16:43 12 (3 - Suninen Teemu / Markkula Mikko): It was ok, nothing special. I want to do my best and hope to be faster. 18. 08. 2018 18:17 11 (3 - Suninen Teemu / Markkula Mikko): It is going in the right direction, but on the last stage I made mistakes on four or five stages. 18. 08. 2018 12:04 10 (3 - Suninen Teemu / Markkula Mikko): A lot of things I need to improve, mainly in the corners...on the straights I can't go much faster. 18. 08. 2018 10:14 9 (3 - Suninen Teemu / Markkula Mikko): It was a big surprise how much we needed to manage the tyres. 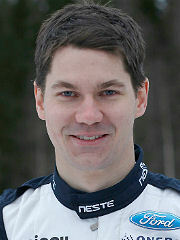 Ok it wasn't tricky, but it was a big surprise to have to do it during the rally while competing with the others. 18. 08. 2018 10:05 8 (3 - Suninen Teemu / Markkula Mikko): Just braked on the gravel, went wide a bit on the gravel but that's how it is when starting first on the road. 17. 08. 2018 18:51 7 (3 - Suninen Teemu / Markkula Mikko): I've learnt how to drive this car on asphalt, it has been a really nice experience and hopefully we have similar tomorrow. 17. 08. 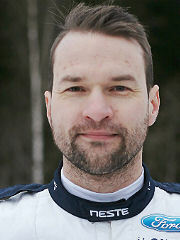 2018 17:11 6 (3 - Suninen Teemu / Markkula Mikko): I enjoy the stage now, the weather conditions are more equal for everybody. I want to improve, but from where we were in the morning we have already improved. 17. 08. 2018 16:15 5 (3 - Suninen Teemu / Markkula Mikko): I'm feeling that I'm doing better and better. I was struggling with the rhythm a bit at the beginning and lost a few seconds. 17. 08. 2018 13:22 4 (3 - Suninen Teemu / Markkula Mikko): It was an okay morning loop. A lot of things I need to improve. The little bit of damage was on the last stage, I hit something and I don't know what. 17. 08. 2018 12:20 2 (3 - Suninen Teemu / Markkula Mikko): I was able to enjoy, but a lot of challenges with a new car on a new surface, but just need to improve the driving. 16. 08. 2018 19:28 1 (3 - Suninen Teemu / Markkula Mikko): This stage I felt a lot of understeer and needed to pull the handbrake way too much.